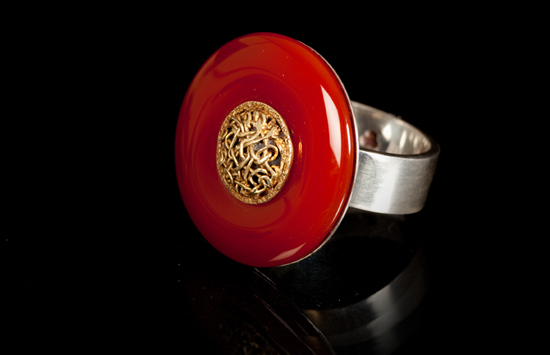 Silver rings are all hallmarked and made to measure. You will need to know your ring size before placing an order and allow 3 -4 weeks for delivery of your unique jewel. 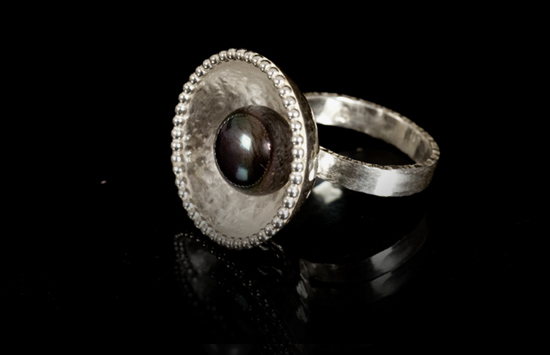 Silver cup ring with beaded edge detail and a hammered shank. A pink pearl sits inside the hollow cup. Diameter 18mm. 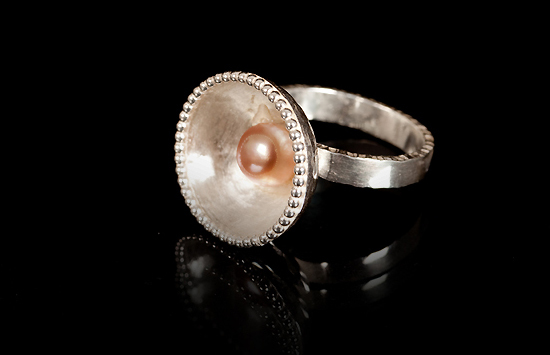 Silver cup ring with beaded edge detail, hammered shank and large dark pearl. Diameter 22mm. 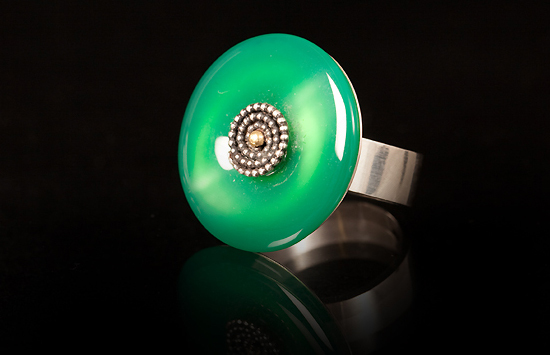 Green chrysopase disc 25 mm across set with a silver wire detail in the centre. 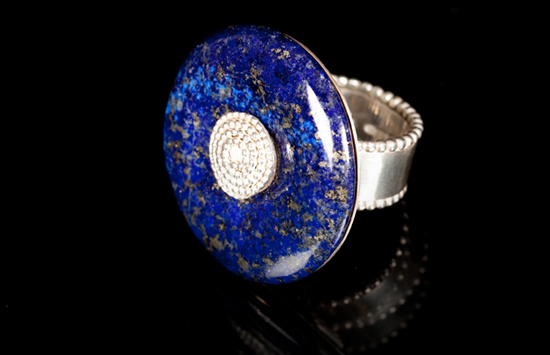 A large disc of lapis lazuli with a beaded centre and shank edge. 30mm diameter. Carnelian disc with gold wire centre detail. 25mm diameter.